Morgan Eggleston, with HRP Construction, pours and mixes concrete as work continues on Pike Street in Goshen. Today crews were installing storm water drainage pipes. 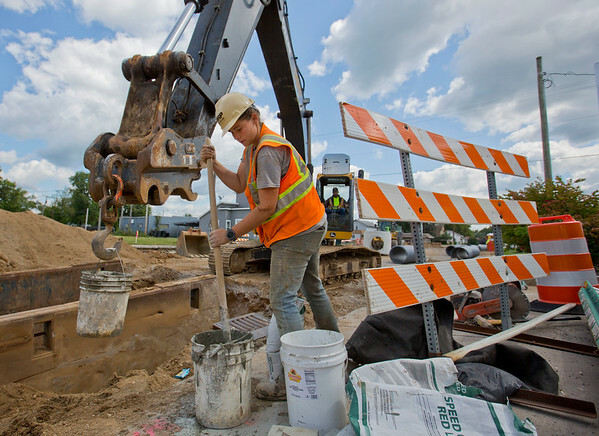 The work is part of the U.S. 33 realignment project.